This module is required for all the other modules. 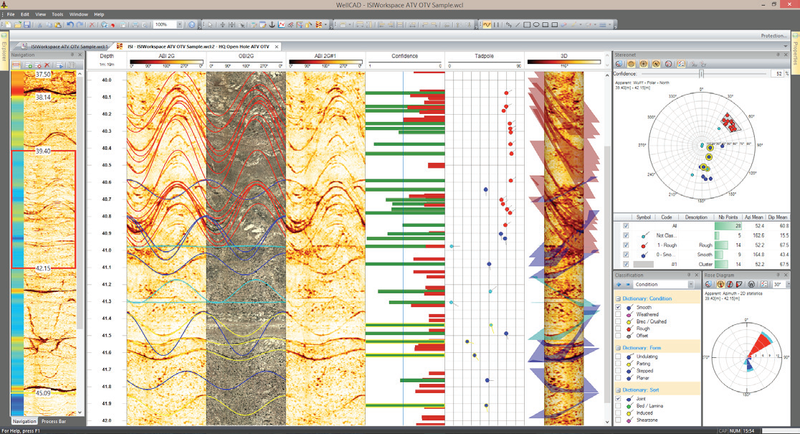 It includes all the basic features needed to import data, display curves and lithology, and output to printers, graphic files, and WellCAD Reader files. 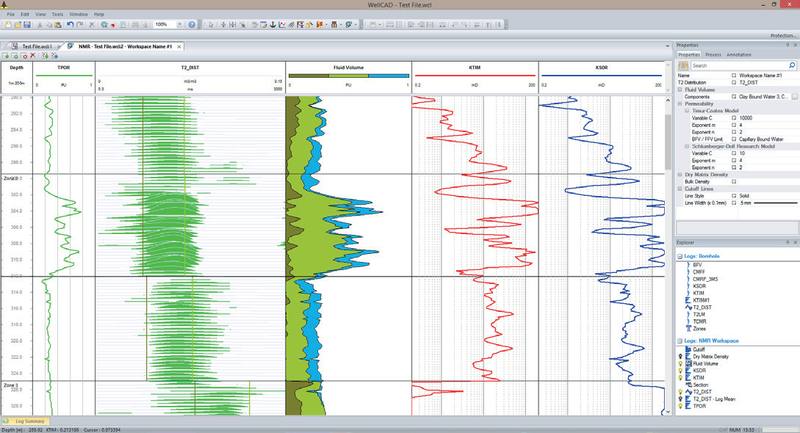 Display and correlate multiple wells from multiple WellCAD WCL files. Control which tracks are displayed for each well individually. Use the CoreCAD module for interactive core description with zoom and snap options, workflow templates, and fast data entry options. 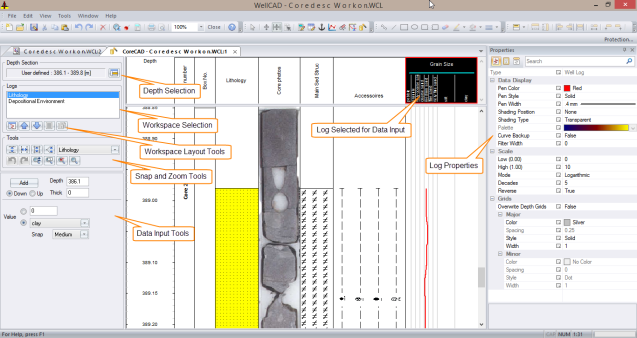 Data entered in CoreCAD immediately updates the underlying WellCAD log. Import hand-drawn core descriptions for digitizing. Use the included symbols for biostratigraphy, diagenetic minerals, and depositional environments, and add your own symbols. 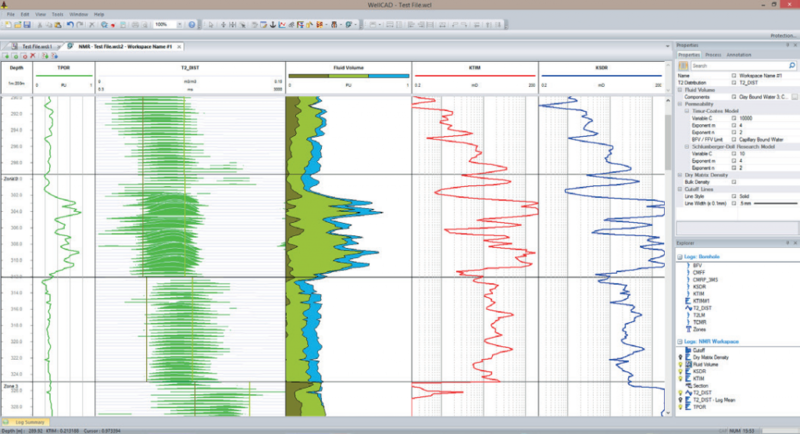 View and interpret structural data from borehole televiewer logs. Analyze ATV, OTV, 3D CoreScan, and FMI images. 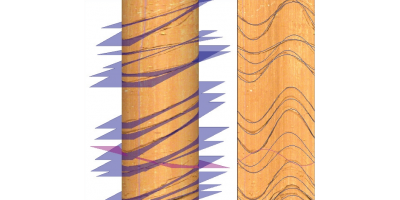 Use the auto-picking algorithm to select sigmoidal features and output strike and dip of fractures, faults, and veins, and add your own manually selected structural features. Employ real-time conversion from Apparent Dip to True Dip. View the interactive stereonet and rose diagram charts as you add new structural picks. 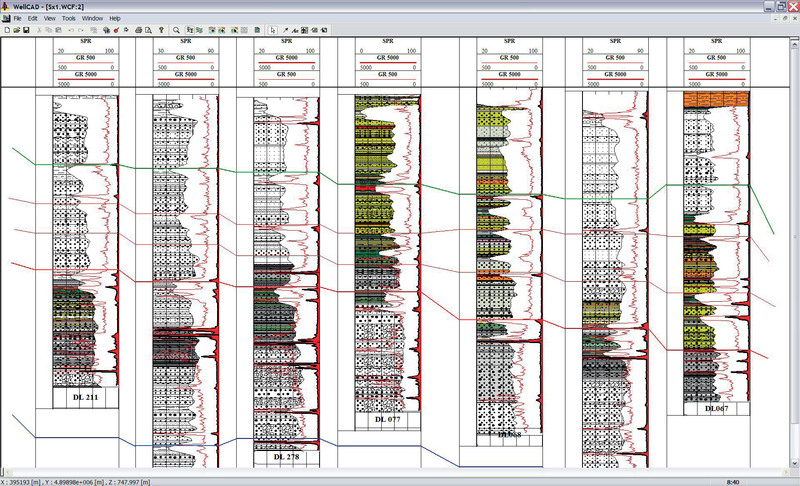 Display structural information in the Structure Log as 3D planes. Import SEG-Y, SEG2 and Mala borehole radar. 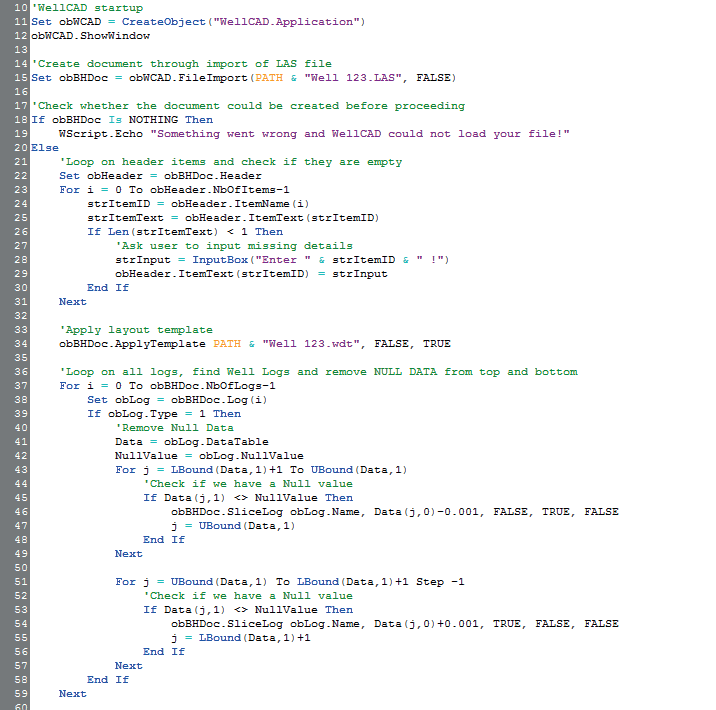 Import LIS/DLIS with optional module. Perform data pre-processing including filtering, moving average, weighted average or frequency. Choose dt picking methods for first amplitude at or above threshold value or based on signal to noise ratio. Evaluate cement bond quality with Standard Gate or E1 method. Compute porosity, permeability, and mechanical values if dt compressional, dt shear, and Rho(b) are known. 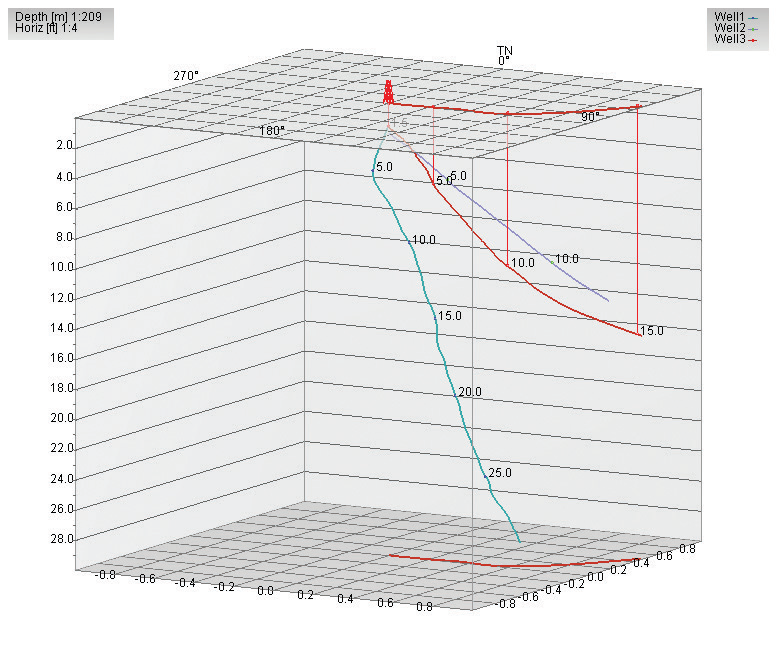 Calculate 3D wellpath azimuth and tilt from magnetometer, inclinometer, and accelerometer data. Calculate Easting, Northing, and True Vertical Depth (TVD), horizontal displacement, dogleg severity, closure distance, and closure angle. Display plane view, section viewer, dogleg, and 3D views. Use the ODBC module to load or save data from/to an ODBC compatible database. 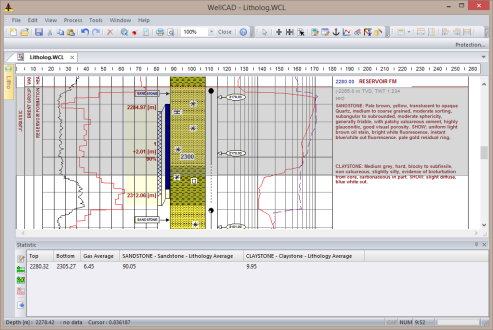 WellCAD includes its own SQL*interpreter and provides various SQL commands which allow communication with any open SQL-based relational database. The user can compile SQL commands and scripts to create, load, save and modify record sets. Use the LIS/DLIS module to import and export LIS and DLIS files. Use the Automation module to access WellCAD through a script in any COM compliant language, such as Visual Basic, C#, and Python. 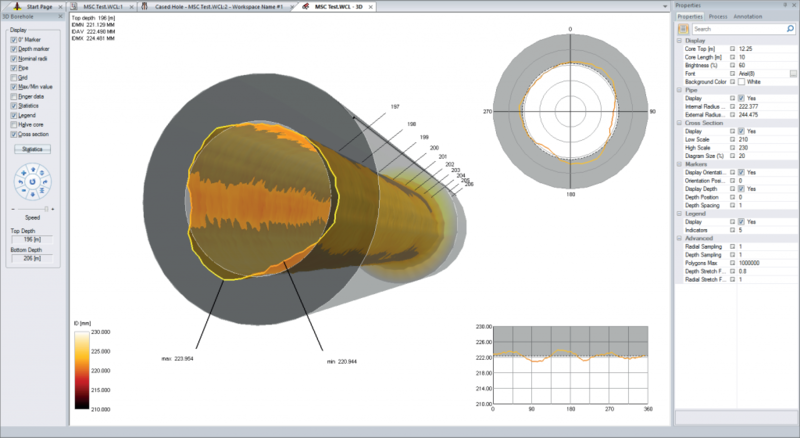 Use the Casing Integrity module to process multi-finger caliper and ultrasonic televiewer data in a new processing workspace dedicated to cased hole data interpretation. Edit raw log data with linear and non-linear depth matching, splicing, and merging. Apply shift correction, dead sensor correction, despiking and centralizing options. 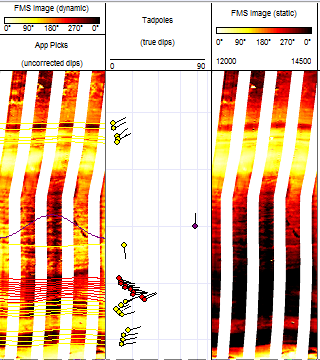 Automatically detect pipe joints, edit interactively, present the data graphically, and in joint analysis tables. 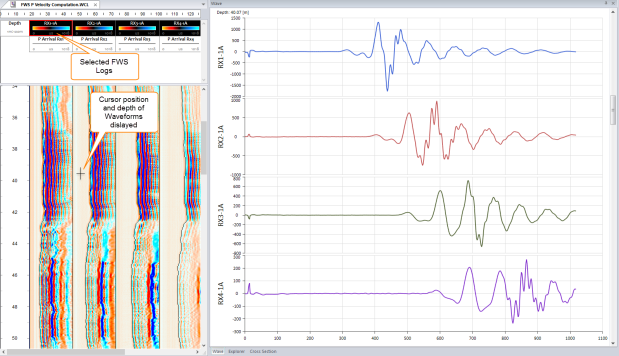 Derive total porosity, fluid volumes, and permeability from T2 distribution data. Examine T2 data in detail, add cutoffs and adjust cutoff times for each import or zone. Update volume and permeability calculations in real time with each cutoff change in a dedicated workspace. Add the NMR SA module to handle post-processing of raw data coming from the SBTs and LBTs developed by NMR Services Australia. This entry was posted on July 21, 2017 by Tom Bresnahan.